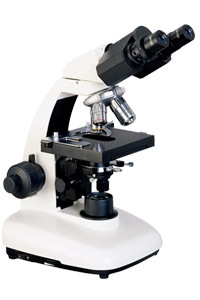 L1600 series biological microscopes are equipped with achromatic objectives or semi-plan achromatic and wide field eyepieces. They are the ideal instruments in medical treatment and scientific research. Coaxial coarse/fine focus, with tensional adjustable and up stop minimum division of fine focusing: 2μm. The specifications are subject to change.